There are massage chairs that are rather basic in their designs. Then, there are those that have a bit more advancement in their features. The Cozzia is the latter. The Cozzia EC363E has an amazing array of features that are state of the art in their advancement. From unique auto scanning features to zero gravity to multiple massage styles and more, the Cozzia EC363E is among the best on the market today. To really see why, keep reading for an in-depth review of all the amazing characteristics this chair has to offer. As noted, one of the most important features of the Cozzia is its auto scan. This is the feature that allows the chair to utilize scanning technology to measure the size as well as the shape of the body. In so doing, it allows the chair to get a more precise massage by knowing exactly what dimensions the individual is. Further, the chair has a zero gravity option that will recline the chair in such a way that the body is massaged at its optimal position. By allowing the body to be put in a position that is parallel to the ground, the spine opens and allows for a full release of pressure on this area. In so doing, it also allows the user to be massaged in a more effective way. Not everyone wants the same intensity in their massage. There are those that want something strong and deeper. Others want something more gentle. For those that want all in one chair, the Cozzia can provide. The Cozzia actually has five different settings that control intensity. These settings allow a massager to choose from everything from the comfort setting to the stretch and more, depending on what it is that they seek and want. There is not a one-size-fits-all mentality when it comes to massage techniques on the Cozzia. On the contrary, it is a chair that was manufactured with variety in mind. There are six different options in massage styles that an individual can choose from, including Swedish, shiatsu, rolling, tap style massage, clap style massage, and kneading. These were developed with the goal of making it feel like a real masseuse is completing the task. Vibrations are a part of most massage chairs. The Cozzia is no exception. What it does, though, is include another element to the massage and vibration feature: heat. 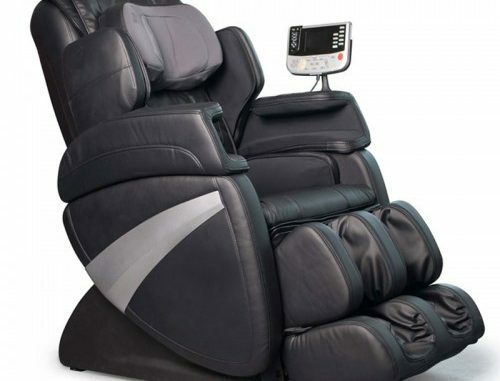 The Cozzia EC363E massage chair has a heated feature that helps to intensify the massage and its longevity. As such, it can have a more positive and long-lasting healing impact on the body. The heat also helps to loosen the muscles of the body and increase the effectiveness of the massage the chair provides. Now, if an individual wants to have a full massage without having to direct the chair, that is possible in the Cozzia. It has six different pre-programmed options in massages that can be selected from. These massage options offer a range of different patterns and sequences that a user can choose from and actually makes it one of the most varied on the market today. The different programming options offer different benefits, as noted in their names. There is a program focused on overall healthcare. There is a program based upon improving circulation. There is a program focused on therapeutic benefits, too. All in all there are six different choices and that is a great thing.